Below you can view all the homes for sale in the Villa Chase subdivision located in Tucker Georgia. 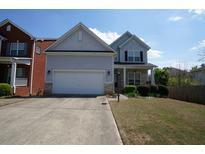 Listings in Villa Chase are updated daily from data we receive from the Atlanta multiple listing service. To learn more about any of these homes or to receive custom notifications when a new property is listed for sale in Villa Chase, give us a call at 404-998-4113. Please Use Showing Times To Schedule. MLS#6532635. Mustang Properties. One Of Largest Floor Plan In The Subdivision. MLS#6511418. Georgia Properties Consultants. Convenient Location, With Nearby Pond And Walking Trail Surrounding The Pond. Top Rated Schools. MLS#6508137. Gt Realty, Inc..
Don'T Look Any Further. Your Dream House Awaits You! ! MLS#6096221. Homeland Realty Group, Llc..